Helleborus hybridus orientale 'Pure White Strain' is a very pretty, pendulous or outward-facing, saucer-shaped, pure white flowers with infused with a hint of green in early opening flowers and fading to lime as the flowers fade. It flowers from February to April and features leathery, deep green leaves. This attractive unusual white spotted variety which is perfect as a ground cover for areas of dappled shade under deciduous trees and shrubs, is best planted near to where you pass frequently in winter and where they will not be overwhelmed by nearby plantings. Like all hellebores, they prefer a good, neutral to alkaline soil. Of the common names used to describe hellebores, it is names like 'Orientalis' and 'Orientalis hybrids' that cause the most confusion. Helleborus orientalis is the botanical name for a species from which many hybrids are derived, but some hybrids have little or no actual H. orientalis heritage at all. 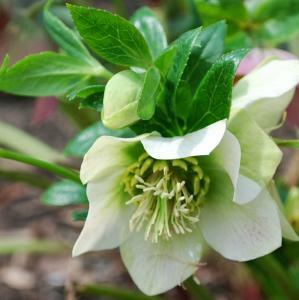 We now refer to all such hybrids as 'Helleborus x hybridus' to avoid potential confusion. These are also commonly referred to generally by the common name Lenten Rose, flowering as they do around the time of Lent. This is not however, a reliable guide, as not only is Lent a moveable feast, but through extensive breeding, many flower considerably earlier.A traditional winter flowering favourite, Hellebores x hybridus produce large clusters of saucer-shaped flowers with white, pink, green, mauve or smoky purple flowers that are plain or attractively patterned with spots, and much new breeding has produced double flowered and anemone centred forms. The large leathery-looking, evergreen foliage persists throughout the year but should be cut back in the spring just before the flowers and new foliage emerge. This will help to prevent the spread of unsightly fungal diseases. Helleborus hybridus orientale 'Specked White' likes evenly moist, yet perfectly drained soil and dislikes soggy or over-wet conditions. Once established, it is extremely tolerant of drought and indeed prefers it to being overwatered. Best flowering occurs in light and not heavy shade. A woodland edge is a good situation. The large leathery-looking, evergreen foliage persists throughout the year but should be cut back in the spring, just before the flowers and new foliage emerge. This will help to prevent the spread of unsightly fungal diseases. 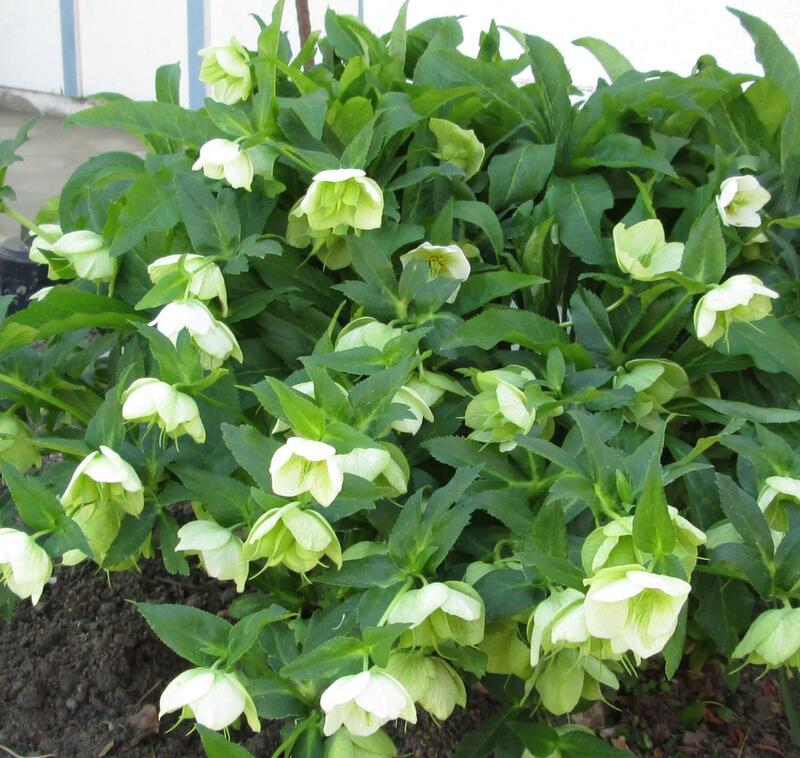 Uses: Helleborus hybridus orientale 'Specked White' provides valuable winter interest. Produces winter flowers. Lenten Roses are best planted near to where you pass frequently in winter and where they will not be overwhelmed by nearby plantings. Perhaps the best companions for Helleborus hybridus orientale 'Specked White' are bulbs such as snowdrops, Scillas, crocus tomassinianus and winter aconites. Cyclamen coum is ideal, flowering at the same time in mid-winter, and all associate well on chalky soils. Pruning \ Aftercare : Remove faded flowers. Remove old leaves in January.